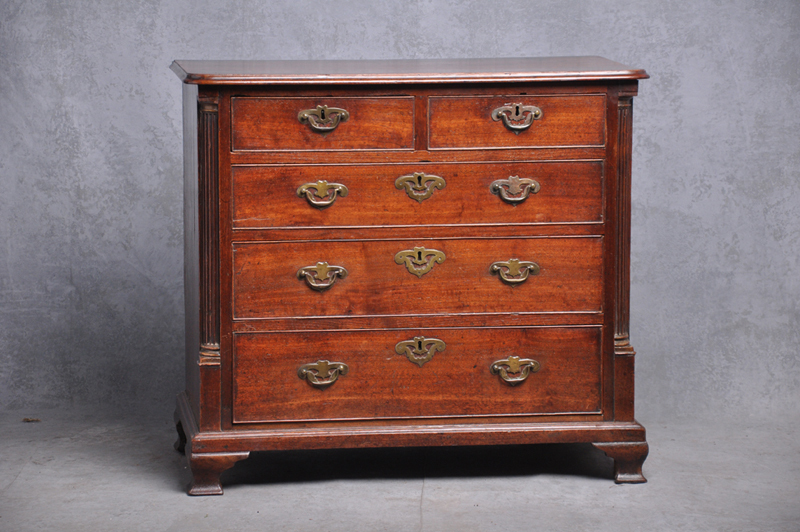 A rare early 18th Century George II red Walnut chest of drawers with original handles and fluted quartered columns Standing on Ogee bracket feet that are for the most part original. 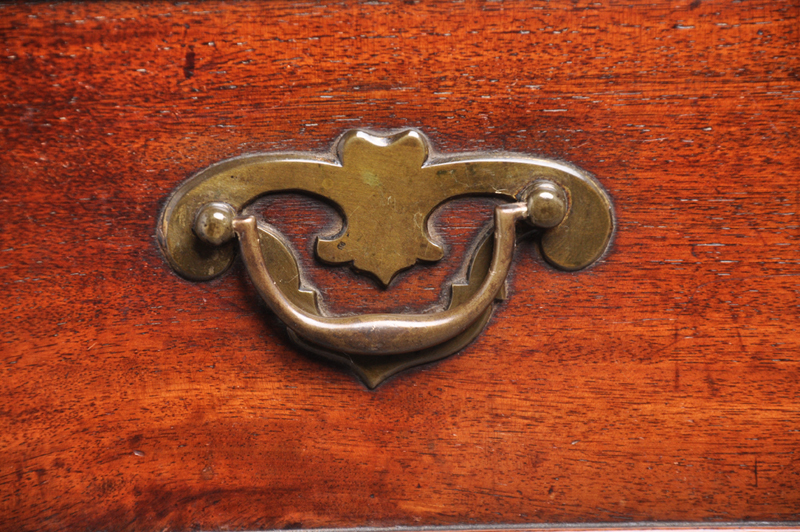 The colour and condition of this wonderfully proportioned piece is outstanding. It is interesting to note that the base of the columns along with the capitals were originally gilded, traces of which can still be seen. 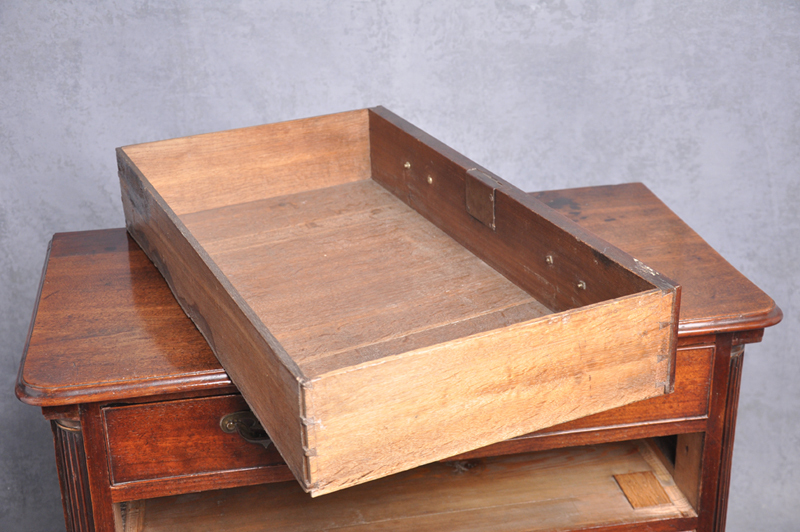 The original drawer linings made in Oak are in good clean condition. 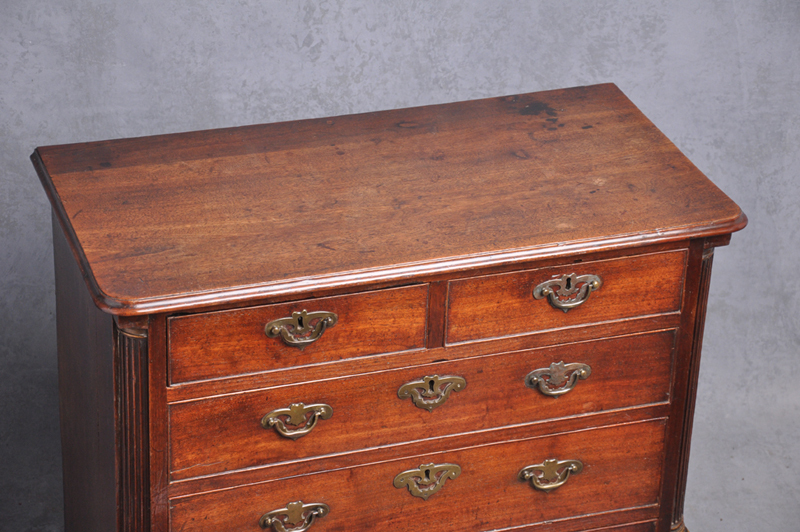 A great friend of my Fathers and a real expert in period English furniture Bernard Dickinson used to refer to this type of chest as a little Gentleman.